The WVU Reed College of Media will host "Hack the Gender Gap: A Women's Hackathon on Diversifying AI beginning Nov. 9. Artificial intelligence has a serious diversity problem. Algorithms that increasingly influence much of our daily lives are created by technologists who aren’t necessarily doing the best job representing gender, racial or economic diversity. That’s why the West Virginia University Reed College of Media has teamed up with MediaShift to co-host “Hack the Gender Gap: A Women’s Hackathon on Diversifying AI,” which will bring together college-aged women from around the country to add their voices to the emerging artificial intelligence market. The three-day event will kick off at the College’s Media Innovation Center Nov. 9 with a special guest symposium, featuring women at the forefront of tackling AI’s diversity problem. Guest speakers include; Cyber-bullying expert Michelle Ferrier, founder of TrollBusters; human rights attorney and social entrepreneur Flynn Coleman who writes about humanity’s future in AI; and Susan Etlinger, a global expert in AI, data and digital ethics who works with the technology futurist company Altimeter. 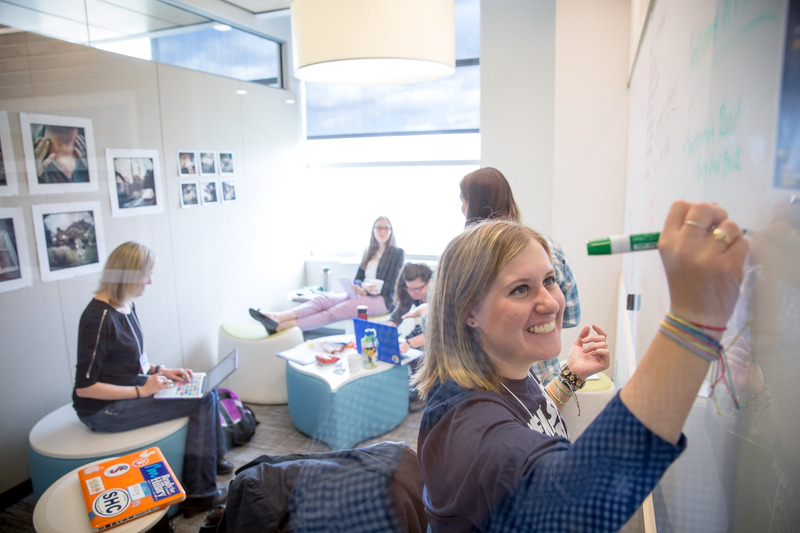 Student participants break into teams with faculty and professional mentors as the women’s hackathon begins Nov. 10. This event will give participants a deep dive into the current state, problems and opportunities facing AI, and offer a series of creative exercises and fast-paced activities for teams to brainstorm solutions for a more inclusive AI that meets the future needs of a diverse society. • Amara Aguilar, an associate professor of professional practice in digital journalism at USC Annenberg School for Communication and Journalism. • Ximena Acosta, a user experience designer with a background in marketing, communications and research. • Megan Tiu, Chief Operating Officer of Frenzy, an early stage artificial intelligence startup. • Jennifer Ellis-Juncaj, a Venture Coach for university students and founder of Giggle Chips, a learning game that helps prepare young children for STEM education and careers. On Nov. 11, the teams will present their ideas to a panel of expert judges from the media, entrepreneurial and technology industries. The winning team will get a platform for their AI concept through a feature article on the MediaShift website. Previous hackathons have helped to launch women creators in emerging technology — ranging in topic from wearables to virtual reality to internet of things. Emerging technology is the continued focus for this series as we highlight WVU’s Media Innovation Center’s “early adoption” philosophy as a strategy for influence and agency for women in next-generation markets. This year’s message for women is that early makers and developers have the opportunity to shape the future of AI and media. The hackathon is sponsored by Google News Lab and OpenNews. To find more information about the hackathon or register to attend, visit http://mediashift.org/hack-gender-gap-womens-hackathon-diversifying-ai-wvu/. © 2019 West Virginia University. WVU is an EEO/Affirmative Action employer — Minority/Female/Disability/Veteran. Last updated on November 3, 2017.